Pinterest, a novel word for many in the Social Media world, but certainly a word that looks like its going to be around for some time. 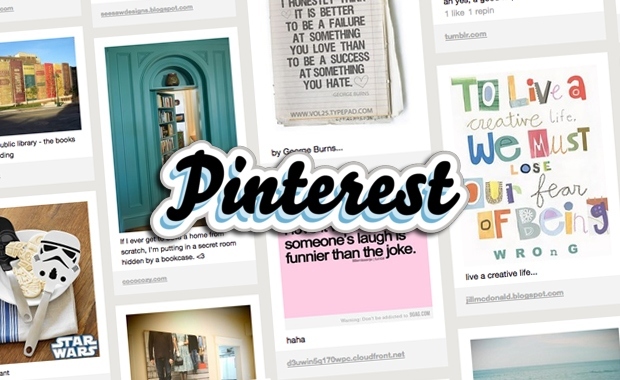 And so, what exactly is Pinterest and how does it affect our social media marketing strategies? Here now, we give you a quick background and some useful tips on how to utilise this new visual content sharing concept. First of, what is Pinterest? Pinterest is a new social phenomenon in the world of social media which allows users to share and organise content on the web. Pinterest also facilitates users in allowing them to browse “pinboards” which have been created by other people. More importantly, it enables users to browse and share YOUR content which will, optimistically speaking, drive incoming traffic to your site. The simple concept behind Pinterest is to turn leads into conversions by creating an environment which embraces and captures the interest of your target audience. Secondly, Pinterest focuses more on a visual basis as opposed to content which we are more commonly accustomed to, with the likes of facebook and twitter. Therefore, it is important that you add images and videos that you feel will be of interest to your specific target market. Thirdly, keep your content new and exciting and as with other various social networking sites, don’t overload users with content. Focus on people’s lifestyles rather than your product and service. Finally, are there any downsides to Pinterest? The main shortcoming of this social networking tool has to be the fact that you cannot connect Pinterest directly to your business page. However, you can register via Facebook and other social networking sites and you can share posts which certainly make this site one to watch. For anyone looking for more information on Pinterest and to see how can you implement it to your website or blog page, we recommend visiting www.pinterest.com/about/goodies/ where you can obtain the “Pin It” button for your blog or website, and lots of information on how it works.